The size of the DHC allows it to be installed in areas where it would be impossible to install storage systems, and it can be installed virtually anywhere due to no safe tray or drainage (check local regulations) being necessary. The simplicity of this unit provides easy and cost effective installation. The DHC saves energy as it only heats water as required and will continually heat the water as it passes through the unit. Being situated close to the points of use offers savings in time, energy and water by eleminating long lengths of pipe. Dial up the temperature you desire, and never run out of hot water again. The DHE water heater provides all the benefits of an instantaneous hot water system with added comfort and control. Whether mounted under or above the sink, the DHE adapts to your specific needs in no time - just turn its casing and the control panel is within easy reach. Using an extra remote control, which can be supplied as an accessory, the desired water temperature can even be conveniently set from the kitchen. With our new DHE appliance, constant hot water temperatures will pave the way into an energy-conscious future. Just set the temperature once and it will be kept exactly to the degree you have chosen - all the time and under all circumstance. How is this done? By gradually controlling the load of the heating elements and the flow rate. The DHF compact control hydraulically-controlled instantaneous water heater is very powerful, but it is also extremely small. The unit incorporates a two-stage hydraulic control which adjusts the heating output automatically depending on the water flow rate. For small volumes of hot water the first stage energises, but if you require more hot water the second stage automatically energises. The unit can be permanently set at the second stage - if you wish so - by using the control knob on the front of the unit. An integral control valve helps to avoid any pressure fluctuations, which means that the water temperature remains virtually constant. The metal-sheathed heating element in a pressurized copper cylinder is most suited to soft water areas. The profi-rapid installation system ensures that installation is very simple. Stiebel Eltron heat pumps are manufactured in Germany, they have over 35 years experience in heat pump technology. Stiebel Eltron heat pumps have the highest efficiency rating, upto a 70% saving. Stiebel Eltron have the lowest power draw of all heat pump units. Stiebel Eltron heat pumps operate in lower technology, down to 0 degrees. Stiebel Eltron heat pumps work indoors or outdoors, can be installed internally with only 13m3 area required and can operate on extended off peak power and timers where available. 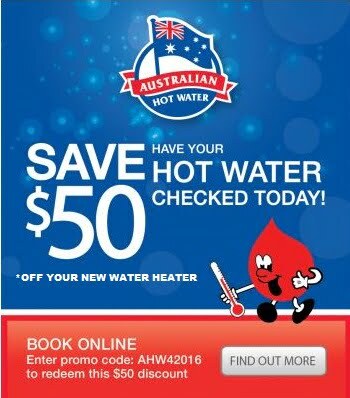 The demands of hot water at a single outlet can be achieved very cost-effectively by an open-outlet water heater. The range of appliances include 5 or 10 litre, under or over sink heaters. Tap sets come complete with the under sink appliances. All are energy saving and cost effective when considering capital and installation. Installation costs are kept to a minimum with the SN range of heaters. The open vented system does not require a relief valve, thus eliminating the need for overflow pipes. In addition, Australian Standard AS 3500 does not require 5 or 10 litre units to have a plumbed safety tray or relief valve.